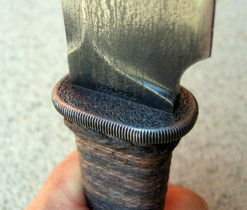 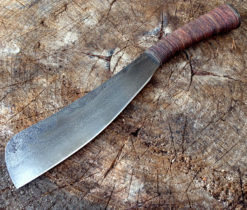 This knife is my Bush Waki upgraded with a steel guard. 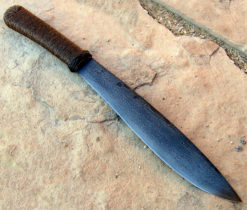 This knife is my Bush Waki upgraded with a steel guard. 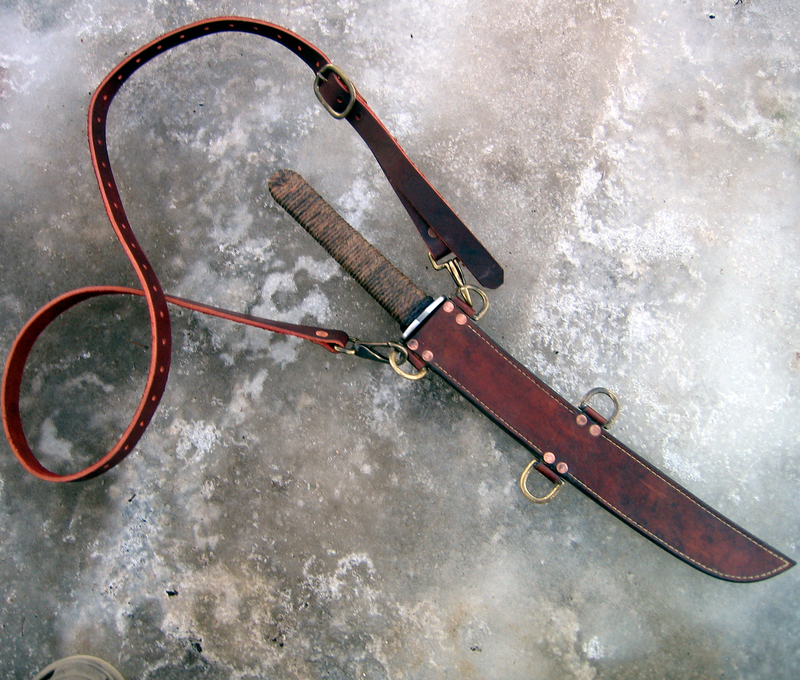 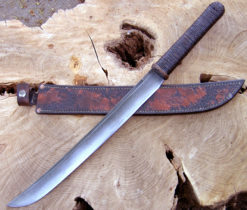 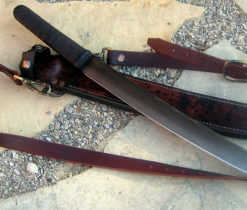 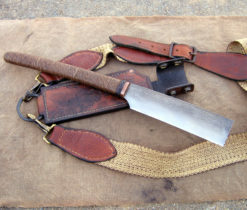 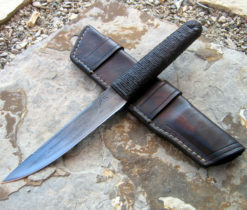 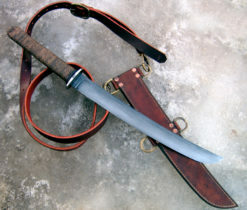 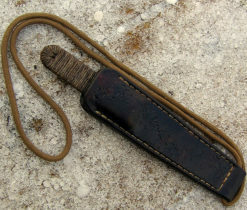 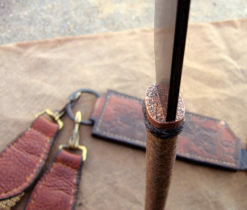 Shown with a shoulder carry sheath(Baldric). 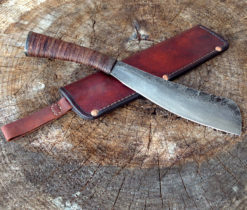 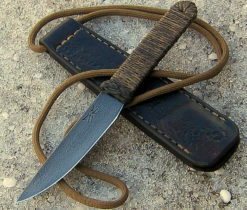 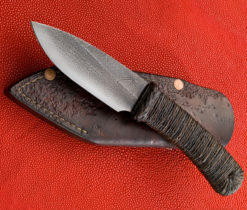 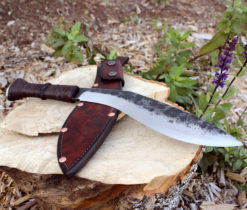 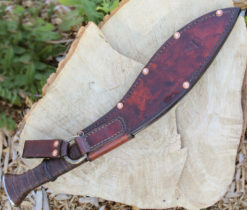 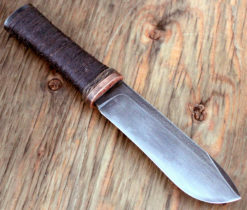 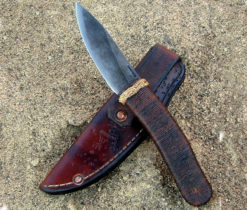 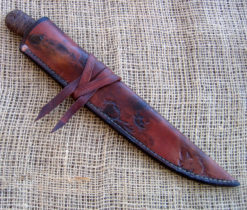 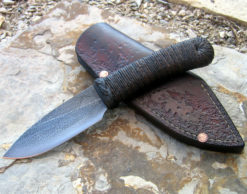 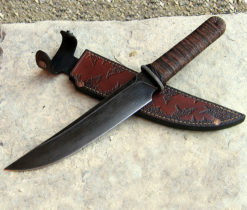 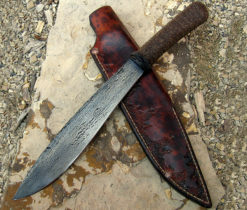 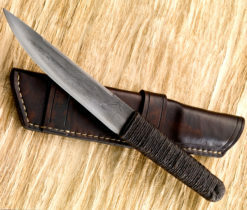 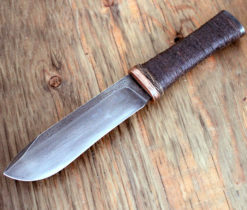 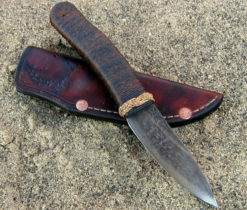 Sheath: Hand stitched, tooled, riveted and wax dipped. 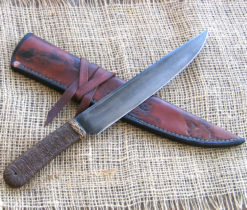 Other sheath options available.